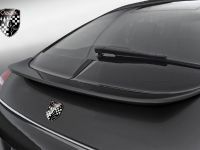 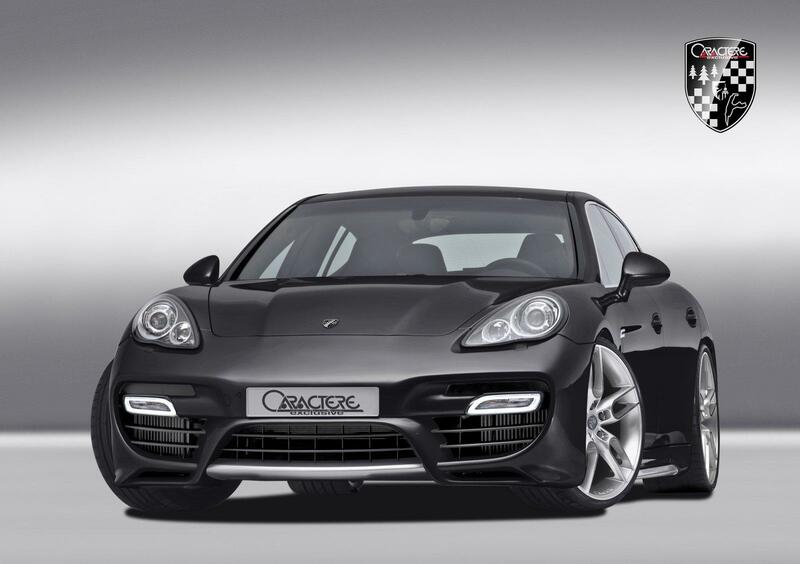 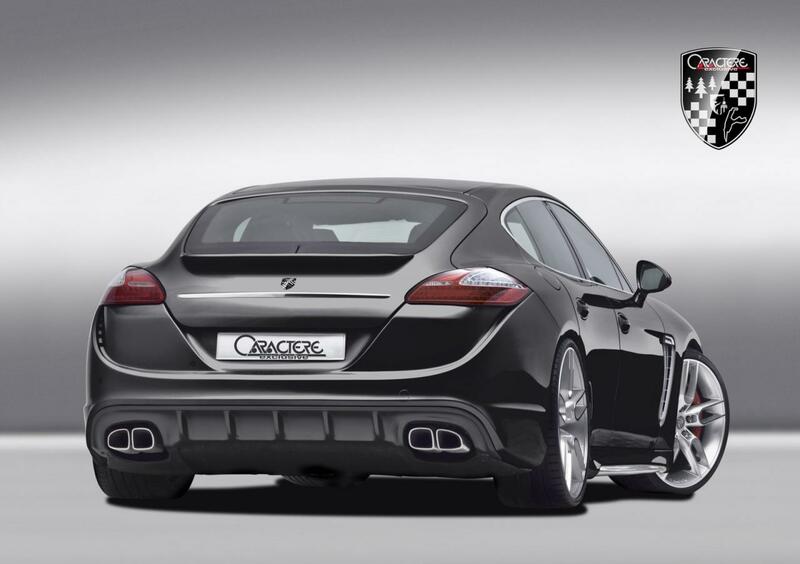 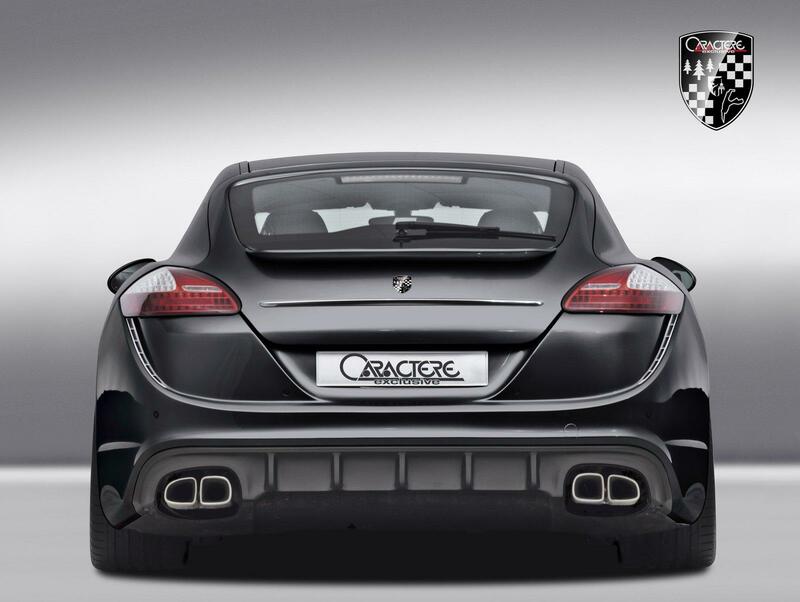 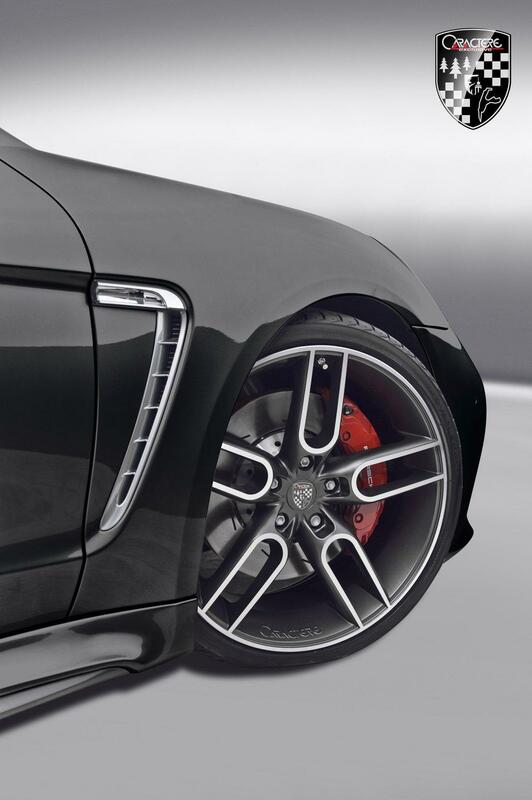 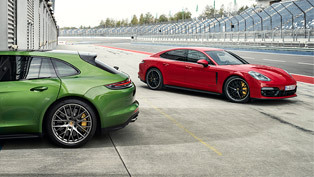 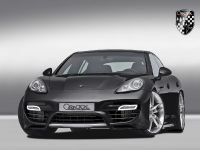 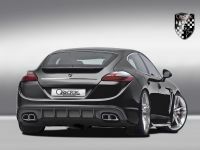 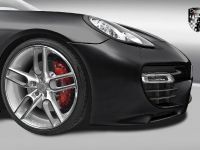 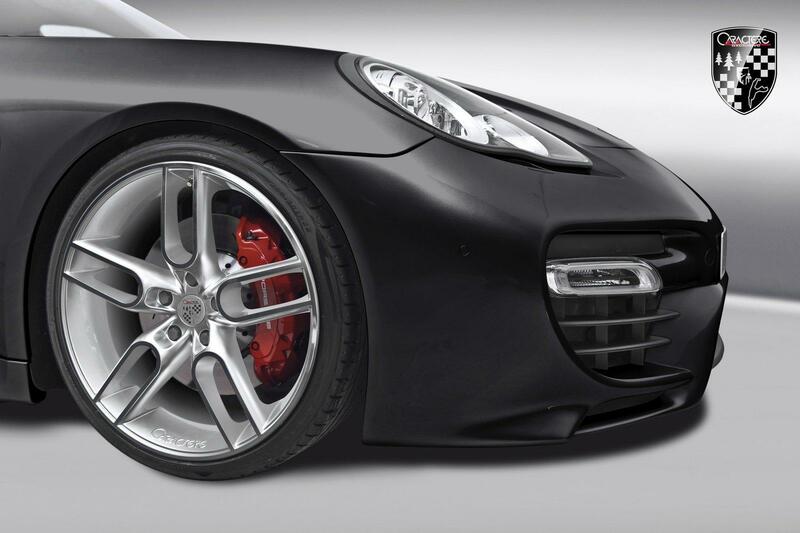 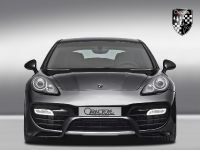 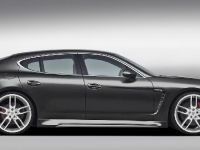 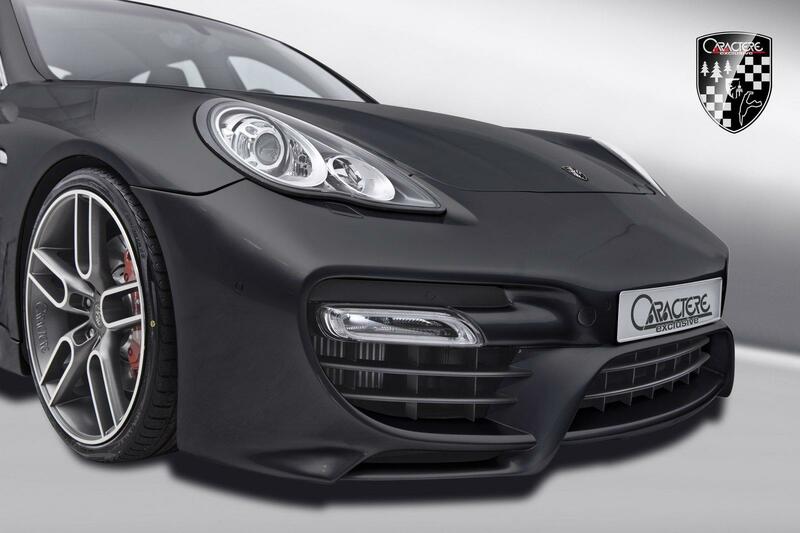 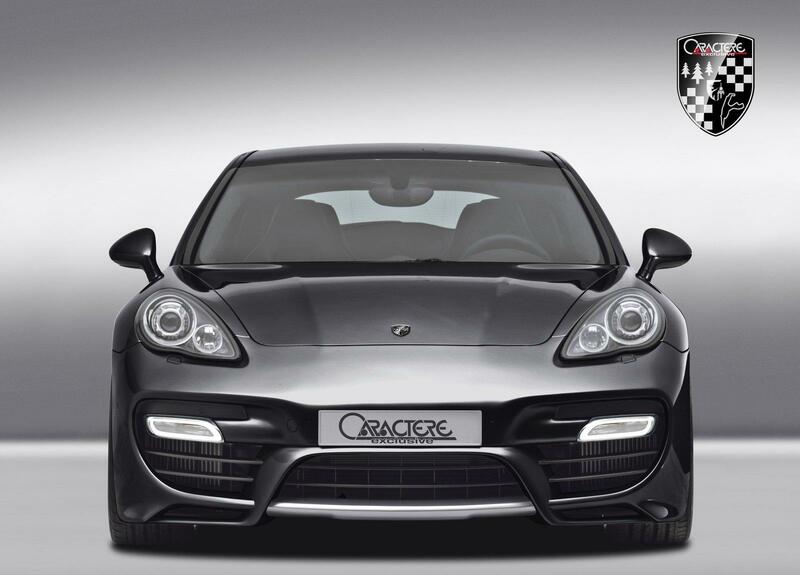 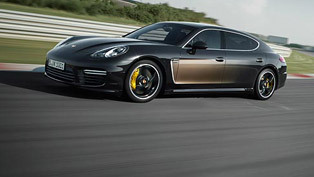 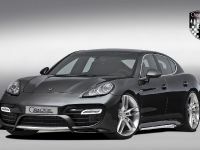 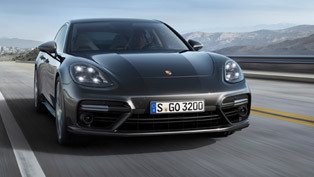 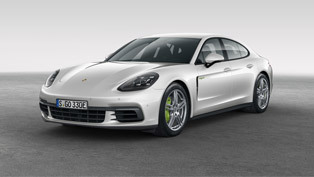 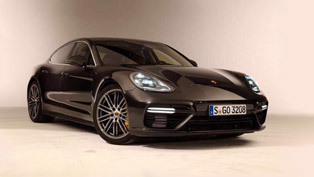 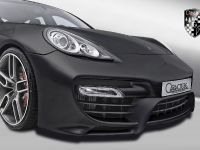 Porsche Panamera received its consecutive tuning package, but this time from belgian tuner Caractere Exclusive. 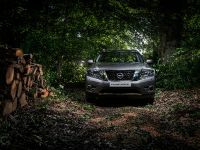 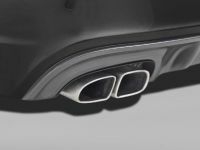 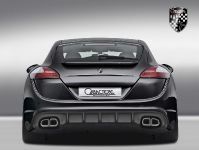 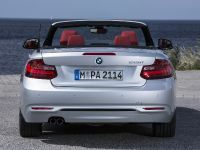 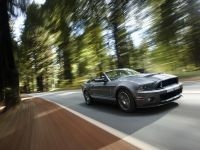 The performance package includes installing new 200-cell catalytic converters and a sport exhaust system from Akrapovic. 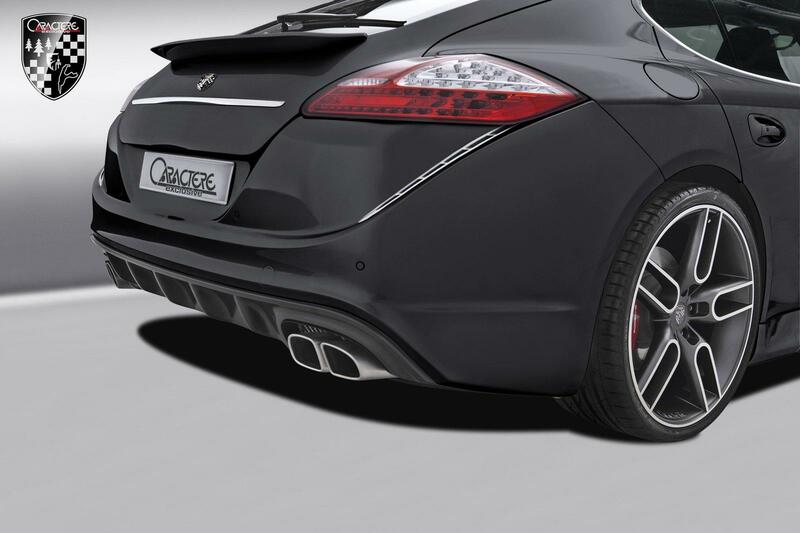 Of course, everything is specially tuned with ECU re-map and the final result is whopping 605 PS (445 kW) and 840 Nm, instead of factory 500 PS (368 kW) and 700 Nm. 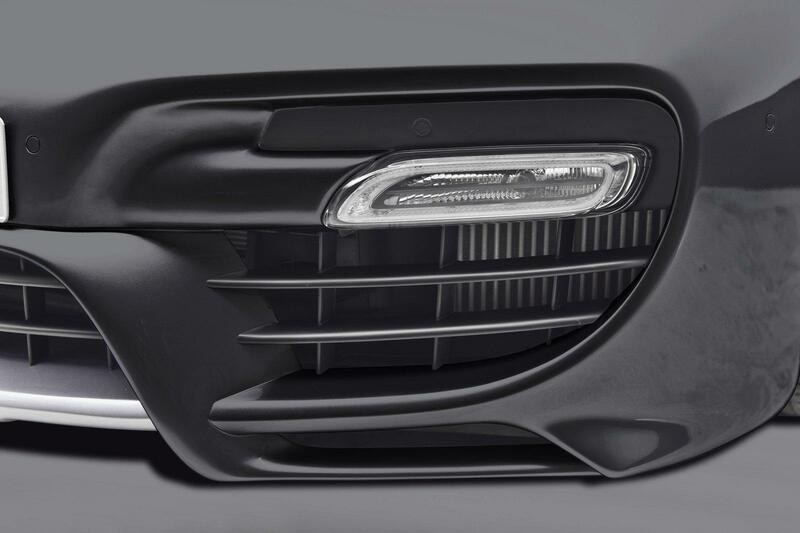 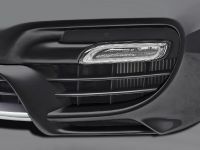 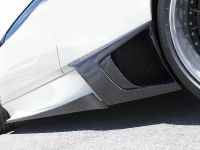 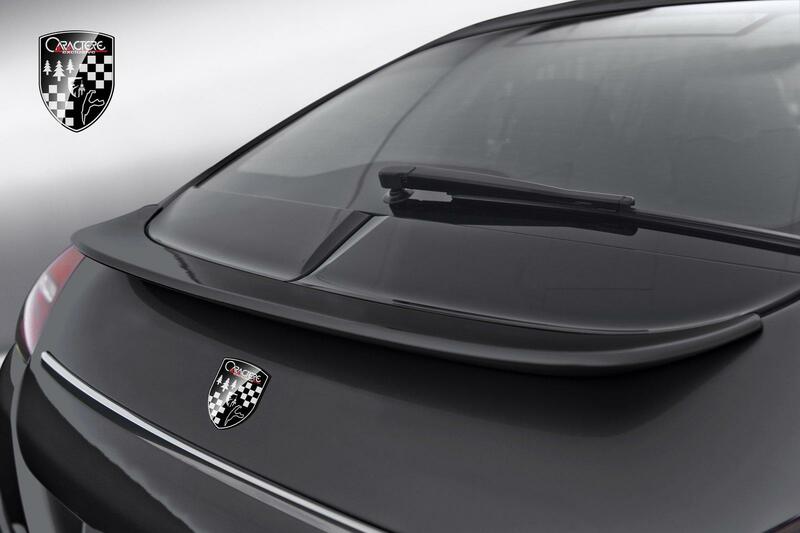 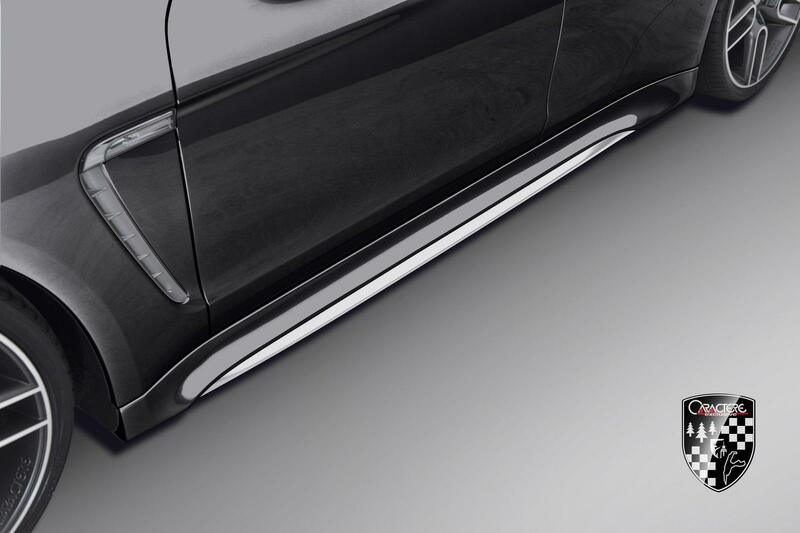 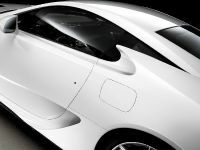 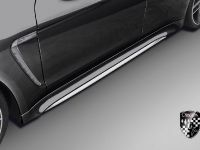 The aerodynamic kit features a new front bumper with integrated lights, side skirts, a new rear bumper and a rear spoiler. 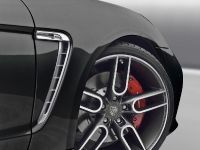 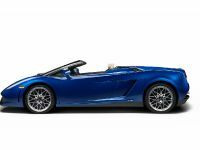 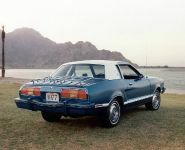 The car stands on enormous 22" rims in CW1 Graphite or Silver measuring 9.5J x 22" at the front and 11J x 22" at the rear, fitted with 265/30 ZR22 and 295/25 ZR22 Yokohama tires, respectively. 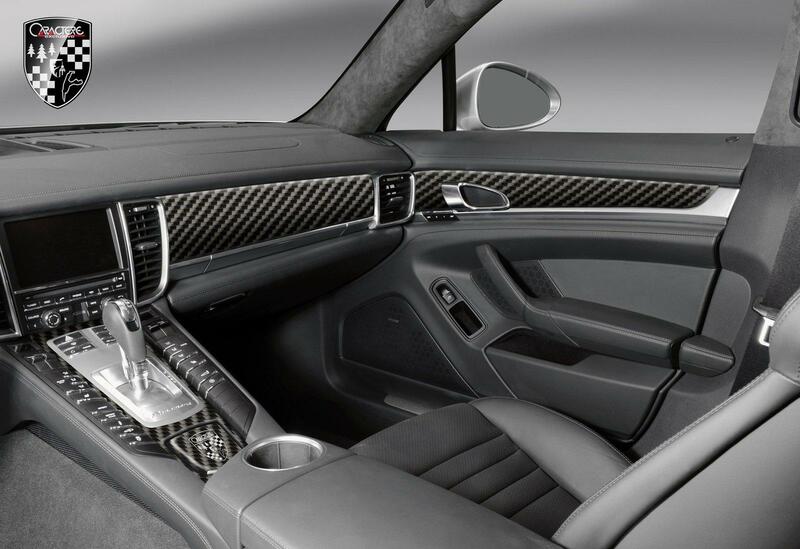 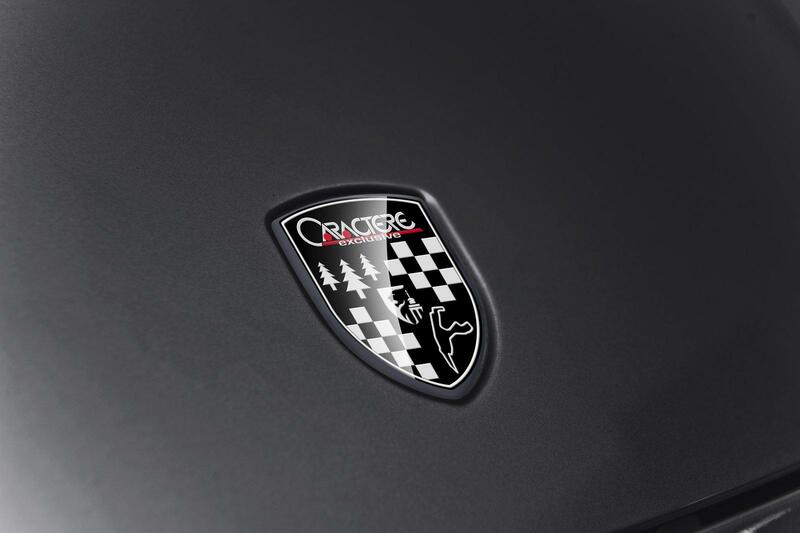 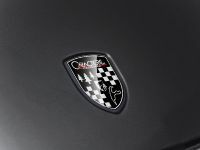 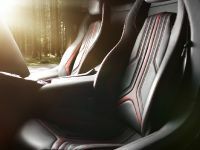 The interior boasts a set of carbon moldings with varying colors and finishes. 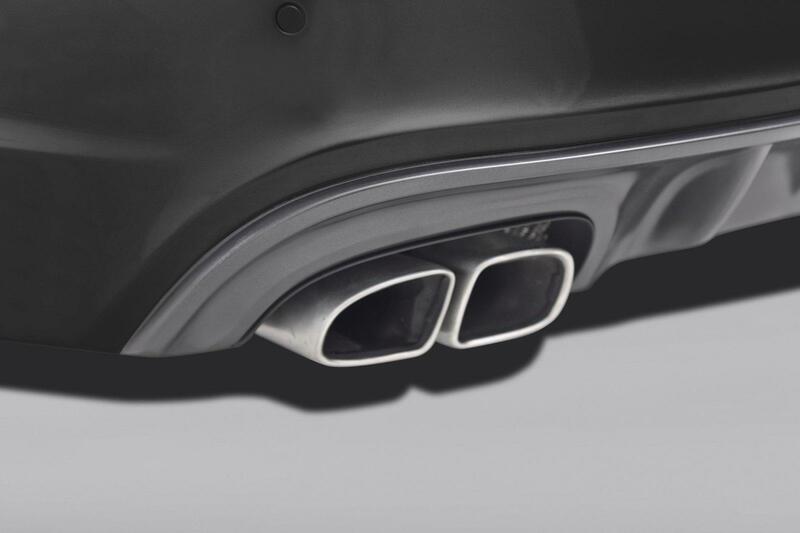 Price list for the tuning packages is not announced, yet.